Children in R20 came to 3 way conferences this week and shared their learning. You have all talked, problem solved, drawn, written, played, listened and thought hard this term. I can't wait to find out what we will embark on after the holiday break! 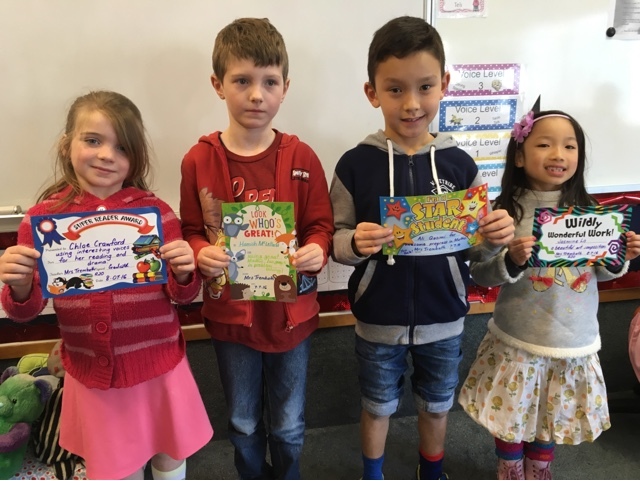 Hamish and Ali for working on maths thinking; Chloe for great expression in drama and reading aloud; Jasmine for a beautifully painted Kea!